Clinical evidence has demonstrated that deep pressure can reduce overactivity and abnormal behaviour patterns. However, providing consistent and continuous deep pressure is challenging and impractical. Our Sensory Hug is designed to calm children and adults with Autism, ADD, SID and ADHD. It is adjustable, comfortable and durable. The SDO Sensory Hug provides sensory and proprioceptive feedback to increase body awareness and stability. Each Sensory Hug is manufactured in Orthowrap material. The level of deep pressure can be adjusted by removing or adding the zip strips. 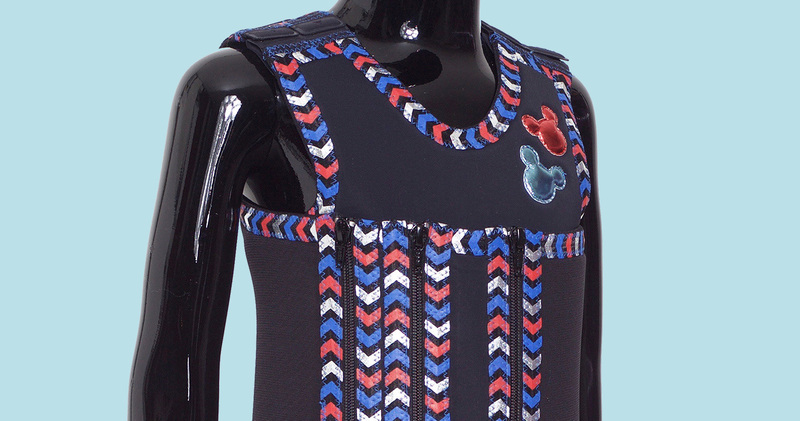 Each Sensory Hug comes with 3 cm and 5 cm zip strips. Perso­nali­sation. Your black or beige sensory hug can be personalised with a selection of bindings, threads and badges. 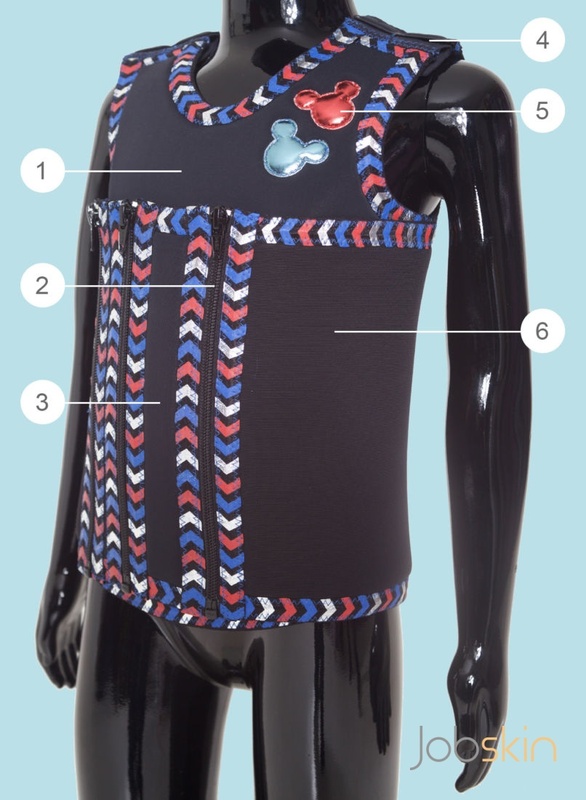 Our revolutionary garment uses adjustable compression to give children and adults diagnosed with Autism, ADD, SID and ADHD the ability to function more effectively and manage sensory seeking behaviours. The Sensory Hug can be worn under or over everyday clothes, it provides support and allows full movement whilst improving attention and concentration.